EVASION EVOLUTION ROOFTOP TENT | muted. Love camping but don’t like the idea of sleeping on the ground with creepy crawlies? 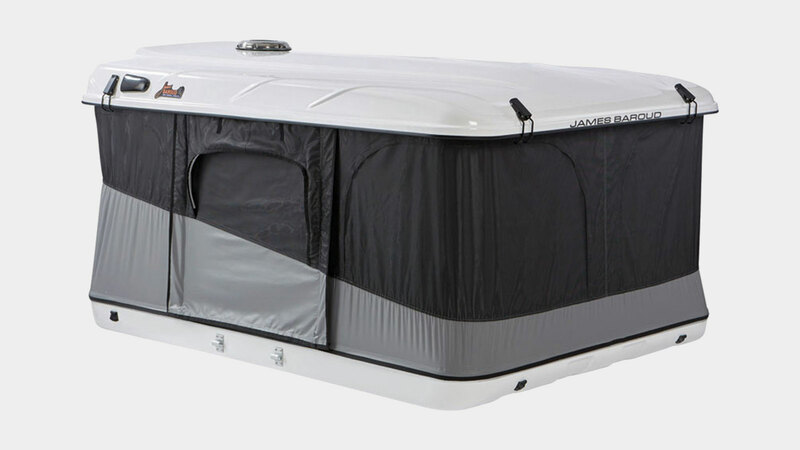 Then the Evasion Evolution Rooftop Tent ($3599) is for you. 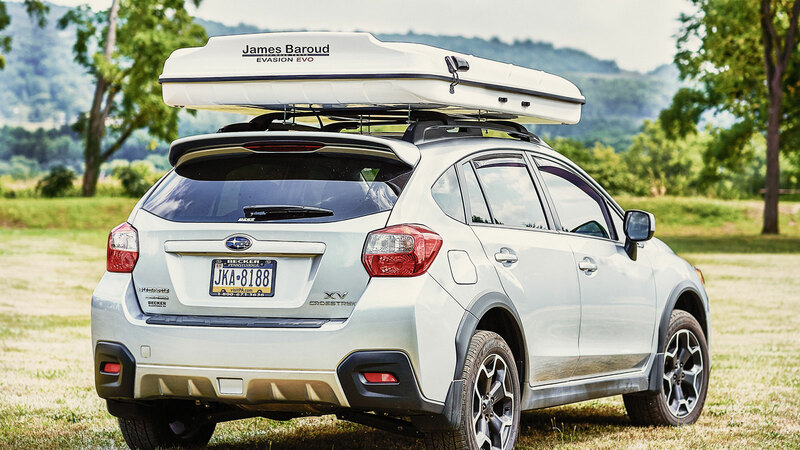 The Evolution easily attaches to most cars and when closed looks no bigger than a luggage carrier. When open you get a 55″w x 78″l x 41″h tent. And when closed it’s just 13 inches high. To open the tent just release the catches and it will automatically open in about 5 seconds. Closing is just as easy. Just push the top down and the sides automatically draw into the hull. Additional features include a 360-degree view, a high-density foam mattress, and motorized ventilation.